As Director of Strategic Partnerships in North America for a bio engineering software firm called Bio-G based in Berkeley, CA, I am writing about some important trends in the life sciences community. I also highlight a private company which focuses on compelling biomedical research. 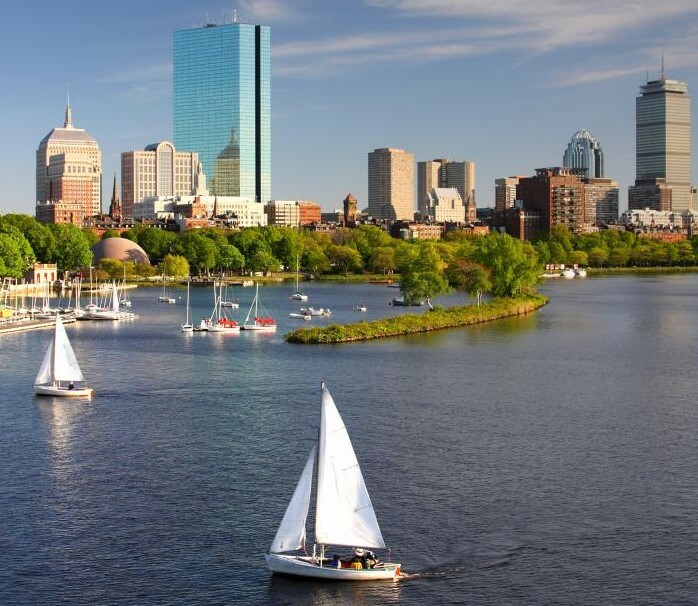 My two recent meetings on the East Coast with the top executives in the United States biotechnology field and on the heels of BIO in Boston June 3- June 7, one of the largest annual life sciences meetings in the United States. I have been learning about the emerging trends in the U.S. life science community. There are a few trends to consider regarding multiple employment offers being extended to the same people in industry. First, how do we expand the talent pool, particularly in niche areas? Second, how do we deal with regulatory requirements as the approval rates for new drugs are still considered slow by industry standards? Third, how do we leverage synthetic biology to enable disruptive innovation to thrive in the market? Fourth, how do we improve real-world data for clinical trials as it relates to market access/pricing? Fifth, how do bio manufacturing software platforms adjust to increasing demands in the cell gene therapy space (like CAR-T). A sixth trend to consider is how do American firms compete with China’s rise in biotech deal making? I had the opportunity to meet with America’s biotech CEO’s – W. Tim Miller, President & CEO of Echelon Inc. and Frontier Scientific for a private interview in Boston last month and learn from him about one of these trends which focuses on a disruptive technology in lipid cell signaling and critical metabolic enzymes. This may provide new and viable targets for the development of potential drugs and diagnostics for cancer, diabetes, inflammation, infections, and cardiovascular disease. Tim started his career carrying a bag as a salesman for a pharmaceutical company, and now he employs over 190 people in total, with locations in both Delaware and Salt Lake City. Echelon Inc. has expertise in fossil lipids that make up the human cell wall. The company has been known for this expertise for many years, specifically in the application of oncology research. Many of the signaling mistakes that lead to run-away cell growth, are caused by the problem with those lipids acting as secondary messengers receiving a signal outside of the cell to inside the cell. Echelon’s scientific advisory board learned 5 years ago there is a phospholipid excreted by the liver which goes up proportionally to the level of alcohol one ingests. It is called Phosphatidyl ethanol. It binds to red blood cells. Echelon Incorporated is working on an assay which determines the level of phosphatidyl ethanol, funded by NIH (National Institutes of Health) and National Institute of Alcohol Abuse and Alcoholism (NIAAA), to provide an easier liver test to determine whether a patient has a problem drinking, rather than using Liquid Chromatography Mass Spectrometry (LCMS), which is currently the gold standard of measurement. The company has been moving towards developing diagnostics as part of its own pipeline by leveraging core competencies in science and technology to capture more of the market value downstream. The company has also engaged in a human clinical study funded by NIAA to determine if they could discriminate between non-drinkers, social drinkers, and problem drinkers. They could see differences in the level of phosphatidyl ethanol they were measuring which were consistent with what they were observing with LCMS. As a developing product they will improve the sensitivity of that assay to determine if they can get to the point of providing a relatively easy point of care test that can be done for the actuarial industry, airlines industry, heavy equipment operators or screening patients for drug trials. After considering the test’s viability and validity, Echelon, Inc. will manufacture or produce this new test under (Good Manufacturing Practices (GMP) and push the new product through the regulatory process. As a new pathway, under the De Novo Food and Drug Administration(FDA) classification submission process, Echelon can send a new diagnostic through the agency that is not a critical medical device because there is nothing substantial or critical in the market place, so they would not require pre-market regulatory approval. An extra note worth mentioning is that a world class scientific advisory board (SAB) at Echelon life sciences is working on an early stage drug discovery. One of the historic members Dr. Solomon Snyder, a Hopkins neurobiologist and world-class scientist, helped identify a novel way to deliver chemotherapeutic drugs to tumors in the brain. Trained as a neuro surgeon, Dr. Snyder created a biodegradable polymer wafer to insert inside the brain cavity after the tumor was excised which allowed the anti-cancer drug to work as a therapeutic agent. I will be sharing more about this company soon. Note: Photo courtesy of iStockphoto.com/DenisTangneyJr.